Hacienda Monasterio is one of the great names in Ribera del Duero. Located close to the villages of Pesquera de Valbuena del Duero on the so-called Golden Mile, the estate covers 170 hectares, its vines all north facing, with plots of Cabernet, Merlot and Malbec complementing the Tinto Fino. 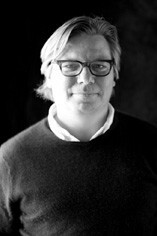 Peter Sisseck, who actually lives on the estate, is consultant winemaker here and it should therefore come as no huge surprise that the quality of the wines is of the highest rank. 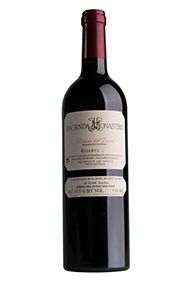 The wines (only crianza and reserva wines are produced) are matured in one-year old Bordeaux casks and are consistently amongst the region’s finest. A resounding success, flourishing from a late, cool vintage. Beautifully perfumed, boasting precision and definition. 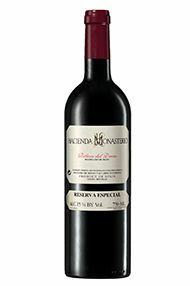 Peter Sisseck, the consultant winemaker at Hacienda Monasterio, sees 2010 in the same vein as 2012 and 2008, that is to say as an elegant , ‘Atlantic’ vintage, a perceived virtue in such a climate and one which allows the wine full aromatic expression. A blend of 80% Tinto Fino and 20% Cabernet Sauvignon, the wine has an attractive nose of violets and eucalypt and a palate which is soft and rich, courtesy, in no small measure, of the 20 month ageing in French oak. 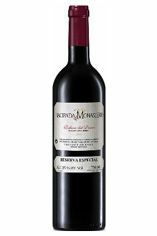 The Reserva Especial, as its name indicates, is made only in the best years, its previous incarnations being 2009 and 2005. 2010 is a more feminine elegant style and therefore completely complementary to its forebears. The blend ,as usual, favours Tinto Fino over Cabernet Sauvignon, but with a little more of the latter ( 24%) than in the other cuvées. This, allied to a longer ageing in French barrel, imparts spicy richness and a black fruit foundation upon which is built the pleasing idiosyncratic characteristics of the property, among them herbs, spice and a distinctively savoury kick at the back of the palate. Most impressive.